Welcome to our series of Level One Supplement guides! Most of us don’t have an unlimited budget. Chances are, also, that you aren’t striving to be among the top 0.1% of athletes in the world. That’s where the level one supplements come in. These are the core, the building blocks. They are also the most widely researched supplements on the market. So what are they? The Level One Supplement guides will break supplements down into easy to understand terms. If you want to read more, then please check out our level one guide for whey protein. Creatine is a molecule that is naturally produced in the human body. We also get it from our diet, specifically from meat. Creatine is probably the second most researched supplement behind protein. To date, no studies have shown adverse side effects in healthy individuals due to its supplementation. All of your muscle contractions are powered by a molecule called adenosine triphosphate (ATP). In fact, ATP powers virtually every activity of every living cell on Earth. We’ll focus on its role in muscle contraction. To put it simply, to contract your muscle requires energy, this energy is released from the ATP molecule by “breaking off” a phosphate group leaving adenosine diphosphate (ADP) as a waste product. This ADP is recycled very quickly via the phosphagen system which (again, very simply) “mashes” phosphocreatine (PCr) together with ADP to produce new ATP. This energy system burns hot and fast, like a jet afterburner, and runs out of fuel quickly due to a rather limited amount of naturally occurring PCr in our cells. You can eat a lot of meat and only increase your PCr levels only a little bit. A 2-pound steak only has about 5 grams of creatine in it. Five grams of the supplement form of creatine fit in a teaspoon. Thus, supplementing with creatine allows us to significantly increase the creatine levels in our cells without the burden of eating large quantities of meat. What does this mean for your performance? The ATP-PCr system primarily powers short bursts of intense work lasting about 10 seconds or less. Supplementing makes you stronger and faster. Where you might have failed your 2nd or 3rd rep of squats you can instead get 5 reps. Some studies indicate that creatine supplementation might have greater effects when taken closer to resistance training workouts when compared to other times of the day. Current data does not show a difference between taking it pre-workout, post-workout, or both. That said, I advocate just taking it whenever it is most convenient for you. Some advocate that creatine usage starts with a “loading” phase. If you want to load, you would take 0.3 grams per kilogram of bodyweight every day for 5-7 days. For an individual weighing 242 lb (110 kg) this would be 33 g a day for 5-7 days. It’s important that you do not take this dosage all at once and instead take it with meals and plenty of water. High doses of creatine can cause stomach cramping, nausea, and diarrhea. Personally, I’ve taken 10g a day for the past 6 years and have not tried loading. After loading, or if you choose not to load, regular supplementation should be a minimum of 5g a day, regardless of bodyweight. Individuals over 220 lb with significant muscle mass and high activity levels should consider upwards of 10g a day. You can mix it in with your protein shake. It doesn’t dissolve very well so it may make it a little gritty and settle at the bottom. This bothers some people. An alternative I use is to just dump my dose directly on my tongue and down it with a swig of water. Creatine monohydrate is odorless and tasteless. You can spend a lot of money on (arguably) well-marketed creatine products. Please don’t. The most effective and cheapest form to buy is creatine monohydrate. Many manufacturers offer other variations such as creatine nitrate, creatine ethyl ester, creatine citrate. Avoid them all. None are as effective as creatine monohydrate. All of that research we mentioned? It’s been done on creatine monohydrate. One variation worth noting is micronized creatine monohydrate. Micronizing is just additional processing that makes the particles finer. This doesn’t affect its absorption rate in your body, but rather makes it easier to mix with water. (It isn’t very soluble, it mostly just suspends itself in water temporarily). A: Yes. If you are not suffering from kidney or liver disease then it is safe to use. Q: Is creatine a steroid or performance-enhancing drug? A: No. It’s food. A few prominent baseball players in the late 90s took anabolic steroids and then credited creatine for their massive physical growth and strength. Q: Is it safe to take it year round; should I cycle it? A: Yes it is safe. There is no need for cycling. Examine.com (n.d.). 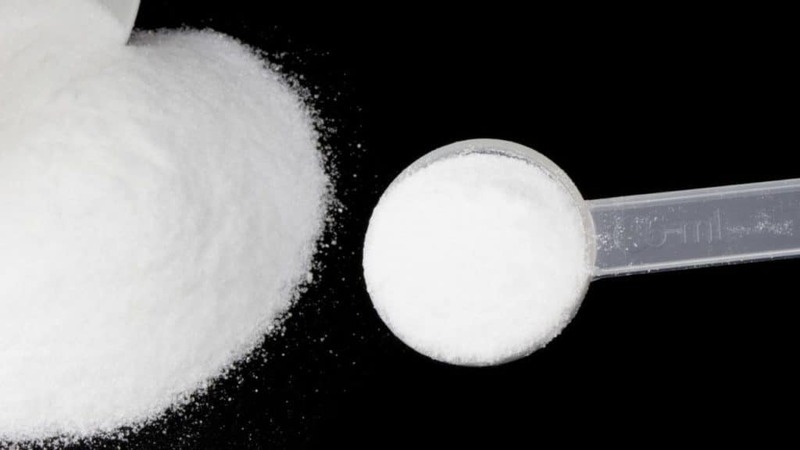 Creatine – Scientific Review on Usage, Dosage, Side Effects. The author of this guide is not a certified dietician or nutritionist and makes no claims to the contrary. Each individual’s dietary needs and restrictions are unique to the individual. Information is provided to the best of our ability. You are ultimately responsible for all decisions pertaining to your health. This guide is written and produced for informational purposes only. Statements within this guide have not been evaluated or approved by the Food and Drug Administration. This guide is not designed to and does not provide medical advice, professional diagnosis, opinion, treatment or services to you or to any other individual. This guide is not intended to diagnose, treat, cure, or prevent any disease. The information provided in this guide, or through links to other resources, is not a substitute for medical or professional care, and you should not use the information without the advice of your physician or another healthcare provider. David Abdemoulaie is the owner of Chicago Strength & Conditioning, a small private gym focused exclusively on private and small group training sessions. David's services are focused primarily on adults over the age of 40.